To ensure that you can rely upon the quality of products and services we make available, the following privacy principles were established to maintain security, integrity and confidentiality of your personal financial information. Our credit union will collect only the personal information that is necessary to conduct our business. This means just what is necessary to provide competitive financial products and services — no more. Our credit union will protect your personal information. Our credit union will maintain strong security controls to ensure that member information in our files and computers is protected. Our credit union will only partner with businesses that follow strict confidentiality requirements. The businesses we select will offer products designed to enhance our members’ economic well-being. Under no circumstances will we authorize these firms to charge your account without your express consent, and we will not sell member information to telemarketing firms. Our credit union will offer you a choice in how your information is used. 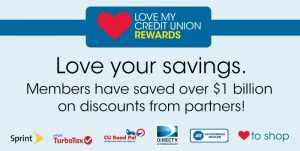 Any member of our credit union may elect to keep information from being shared with our business partners. We will inform you on how to exercise your choice, and we will take all reasonable steps to make sure your requests are followed.